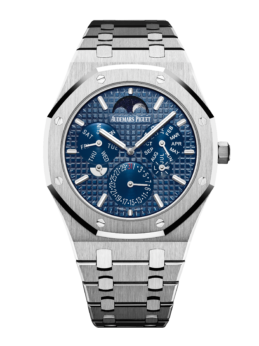 This year, Audemars Piguet once again went above and beyond and unveiled its second significant concept watch: the Royal Oak RD#2 perpetual calendar ultra-thin concept watch. Aptly named, the new self-winding caliber 5133 took five years to develop and combines two important complications. 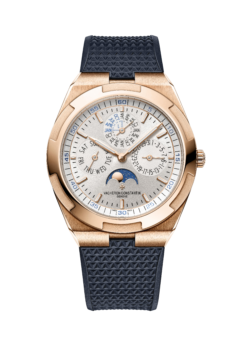 In addition to measuring just 2.89mm in thickness, the 256-part caliber boasts a perpetual calendar with day, date, astronomical moon phase, month, leap year and day/night indications, as well as hours and minutes. The challenging part of its design was re-engineering the three-level movement into a single level to achieve thinness, while at the same time rearranging the functions to ensure efficiency and beauty. 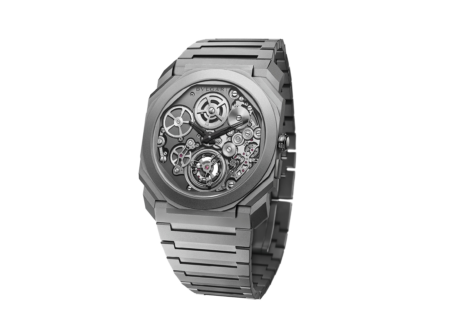 The patented caliber has a 2.89mm central rotor and 40 hours of power reserve. 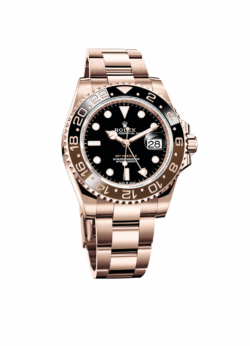 At 41mm in diameter, the watch, when cased, measures only 6.30mm in thickness. 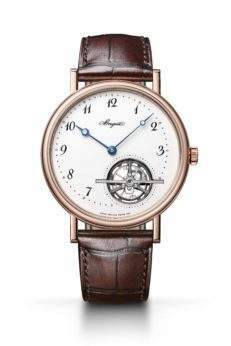 Although not in production and unavailable for purchase, it is the thinnest self-winding perpetual calendar created.